A number of people on Wednesday protested inside the office of the San Mateo County District Attorney, aiming to voice their frustration with how the district attorney is handling the case in which a man died after being tased by law enforcement — the third such death in the county over the past 12 months. Bob Redell reports. A number of people on Wednesday protested inside the office of the San Mateo County District Attorney, to voice their frustration with how the district attorney is handling the case in which a man died after being tased by law enforcement — the third such death in the county over the past 12 months. About 10 to 20 people with the group "Justice 4 Chinedu" took part in a sit-in at the office of San Mateo County District Attorney Stephen Wagstaffe Wednesday to demand that he release video of the deadly incident involving Chinedu Okobi. Last October, five San Mateo County sheriff's deputies tased Okobi, 36, during an encounter in Millbrae. Okobi, who had a history of mental illness, died during the struggle. The district attorney has 25 minutes of video from a surveillance camera, dash cameras and witness cellphones that captures some but not all of what happened. A number of people on Wednesday plan to protest inside the office of the San Mateo County District Attorney, aiming to voice their frustration with how the district attorney is handling the case in which a man died after being tased by law enforcement — the third such death in the county over the past 12 months. Bob Redell reports. Okobi's family has watched the videos and questioned whether deputies had a right to stop Okobi in the first place. They said Okobi was walking down a sidewalk, not running in and out of traffic as the sheriff's office has said. Wagstaffe said he will publicly release the 25-minute video and transcripts of interviews with the deputies and witnesses once his investigation is wrapped up in mid-February. "I understand the impatience, but the question is, as I've said multiple times, 25 years ago Johnnie Cochran said something that's rung in my mind, when he accused the DA of a rush to judgment," Wagstaffe said. "I can assure you I remember that when I make my decisions now. We're not gonna rush to judgment." The "Justice 4 Chinedu" group argues that it has been 100 days since the deadly incident and the public has a right to know what happened. "It's not fair for Chinedu's sake," Ginny Kraus said. "He's gone. He doesn't get to speak for himself. We are here to speak on his behalf, and we want to see change in this county, and we're not going away. We're not going away. This has to change here in San Mateo and across the United States. Black men need to be treated with dignity." Wagstaffe said he is waiting for a report from an outside use of force expert before deciding whether to file charges against the five deputies. Protesters question the independence of that expert given that he is a former law enforcement official. Okobi was the third person to die after being tased in San Mateo County last year. 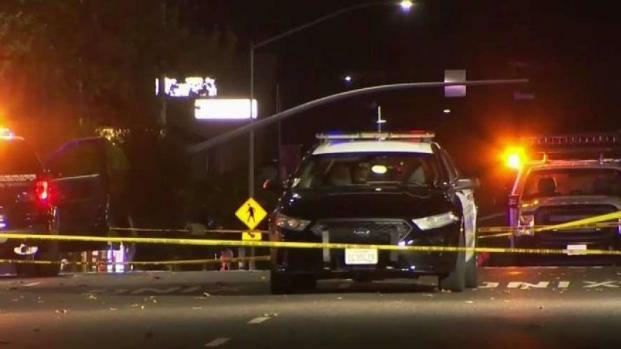 Another man died during an encounter with Redwood City police in August. Another person died in January during an encounter with Daly City police. No charges were filed in the Redwood City and Daly City incidents.